I’ve endured countless debates and conversations with friends about which movies are “accurate” and which are not. I’ve read lists published by web sites touting the alleged accuracy of some movies while vilifying the inaccurate. I do not suspect that these debates will end anytime soon, and honestly, they shouldn’t. But, I do want to say a few things about the movies and historical “accuracy,” and why, ultimately, it does not matter. Historically accurate? 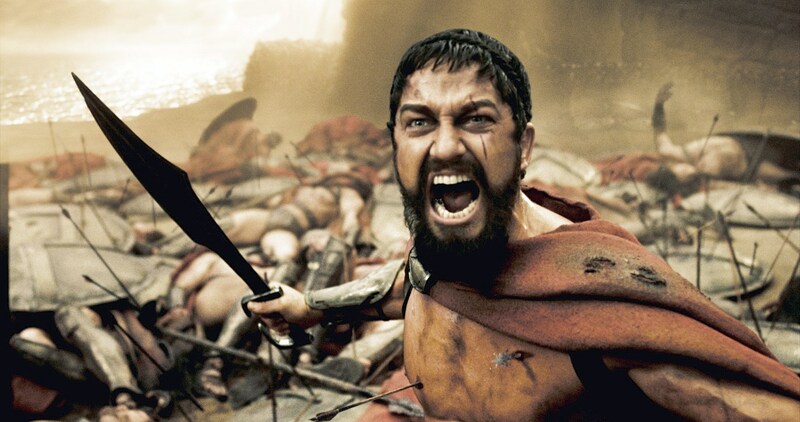 Not with those fillings in your molars, Gerard Butler! Audiences are already aware that the movie is inaccurate. That’s right. Let’s not underestimate the intelligence of the average movie-goer. Sure, there are plenty of people who have not taken advantage of the opportunity to learn history. But the audience for a movie based on history is more likely to know at least something about the material depicted in the movie. These viewers are already accustomed to the liberties that movie producers take with history, and they know not to take the movie as the definitive source material on a historical event. In fact, for many, a movie serves as a spark to learn more about the time, people, places, and events in the movie. Gee, thanks for the box, Pandora. I can open it, right? Nothing bad’s going to happen? The story serves as a gateway to learn more about the material. Think about when you were a kid. What made you want to know more about a particular subject? Did you see a documentary about it, or a movie, or even a cartoon? 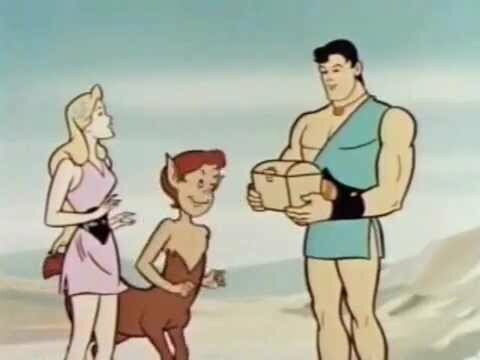 For me, it was the The Mighty Hercules cartoon that inspired my interest in mythology. I watched the adventures of Hercules on New Orleans’ WGNO-TV in the afternoons, and I went to the library to find actual books on Greek myths shortly thereafter. Even as a kindergartner, I was smart enough to know that the cartoon was based on source material. I knew someone drew the cartoon, and whoever that was based his story on actual myths and mythological characters. Let’s give people a little bit of credit here, and not assume that they are going to believe everything they see on the screen, without questioning it. One of the things people SHOULD question about movies, but frequently don’t, is what the movie says about the time in which it was made. Movies about historical events give us the opportunity to see well-known stories told over and over. The movie itself becomes a capsule of the time, place, and people who made it. For example, if we watch the 1960 version of The Alamo, we will see a Davy Crockett character who is much more in line with the folk hero version of Crockett than the flawed hero presented in the 2004 version. This would indicate that the producers of the 2004 version thought the audience of the time would relate to a more conflicted hero than the icon (portrayed by John Wayne) driving the 1960 version. Perhaps the 2004 version’s producers had a more cynical view of heroes, reflecting a social attitude of the 21st century. This scene made me so mad, I wrote a thesis. Inaccuracies in history-themed movies even inspire historians to set the record straight. I saw The Eagle on Netflix a while back. It’s not a bad movie. I enjoyed it. But I noticed something I doubted very much about it. 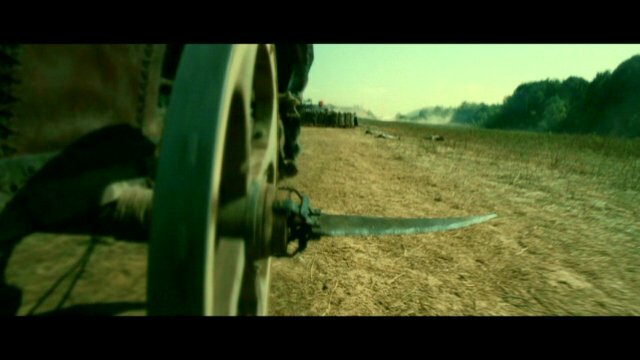 Near the beginning of the movie, Channing Tatum’s character is wounded by a scythed chariot. I was immediately suspicious. I wasn’t aware that there were any scythed chariots being used in Great Britain at that time. I did the research, and what do you know? There wasn’t. I based a paper on that research, and that research also later helped me write my master’s thesis about Julius Caesar’s invasions of Britain. In conclusion, take it easy on Hollywood, and stop giving them so much importance. Movie producers, writers, and actors never will have the final say on how events and people are remembered by history. That burden is actually up to you. If you want to let Mel Gibson’s version of William Wallace be your version of William Wallace, then I can’t stop you. But you will be settling for something less than you should, and I think you know that. If you want to truly understand someone or something better than you do, seek out opportunities to get closer to the subject. Read journals, letters, newspapers, and contemporary evidence. Visit the battle field. Tour the battleship, submarine, or aircraft carrier. Talk to veterans about their experiences. Talk to your grandmother about her childhood. Go to that traveling exhibit at the art museum. Go deeper than what you see on the silver screen! What Can We Learn About Byzantium from the Strategikon? Hannibal and Rome – What’s the Angle for Polybius and Livy?